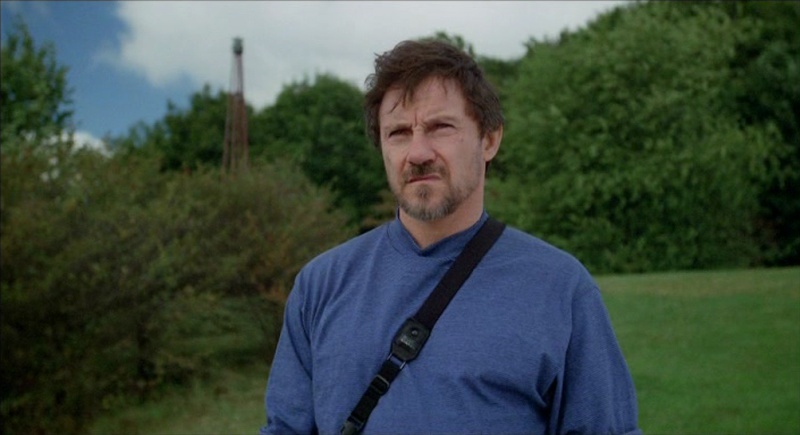 NOTE: The Arrow Video's original release issue has now been corrected! 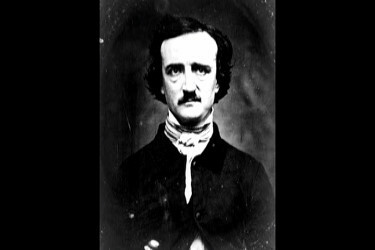 The masters of modern horror - George Romero and Dario Argento - bring you an unprecedented pair of shockers inspired by the tales of Edgar Allan Poe. 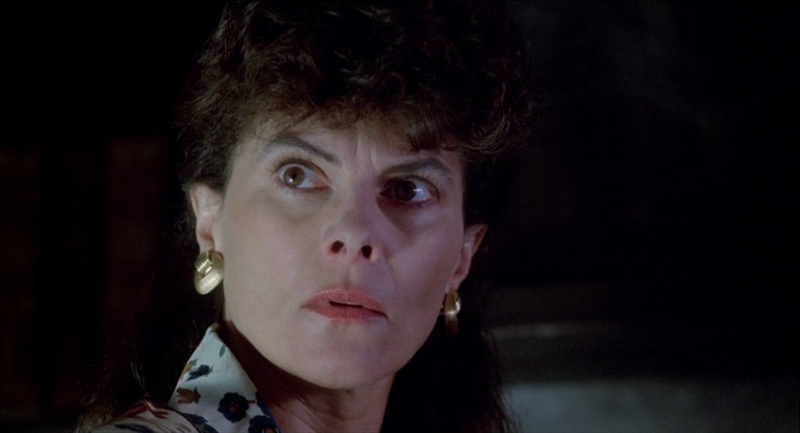 In Romero's "The Facts In The Case Of Mr. Valdemar," a conniving wife (Adrienne Barbeau of THE FOG) and her lover use a hypnotic trance to embezzle a fortune from her dying husband, only to receive some chilling surprises from beyond the grave. 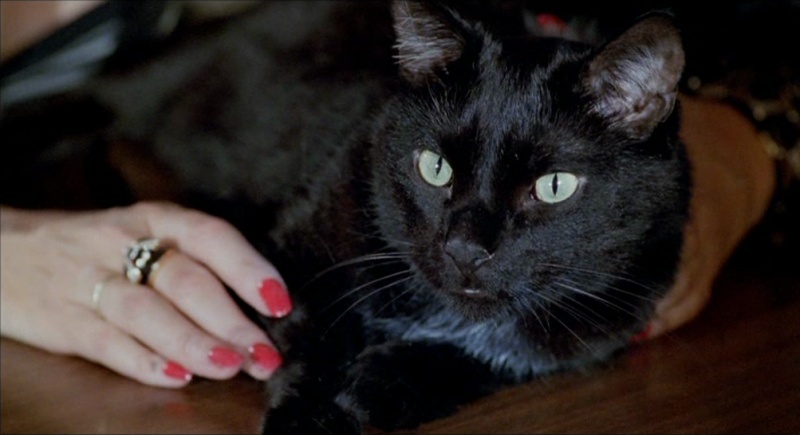 Then in Argento's "The Black Cat," a deranged crime scene photographer (Harvey Keitel of RESERVOIR DOGS) is driven to brutal acts of madness and murder by his girlfriend's new pet. 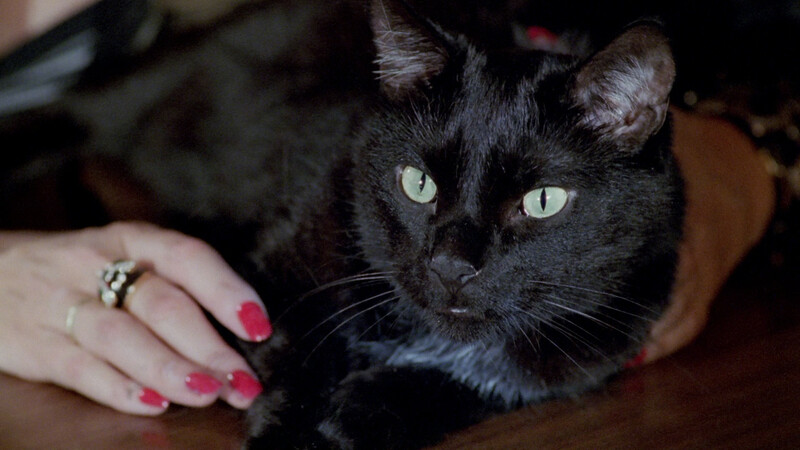 But will this cunning feline deliver a final sickening twist of its own? 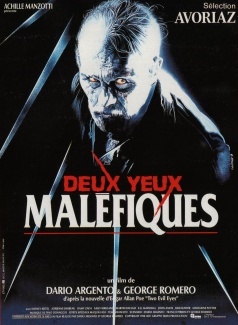 Martin Balsam (PSYCHO) and Tom Atkins (MANIAC COP) co-star in this wild horror hit that also features grisly effects by gore master Tom Savini (FRIDAY THE 13TH, THE PROWLER). Blue Underground is proud to present TWO EVIL EYES in a new High Definition transfer, featuring remixed 7.1 DTS-HD and 7.1 Dolby TrueHD soundtracks, and packed with exclusive Extras. 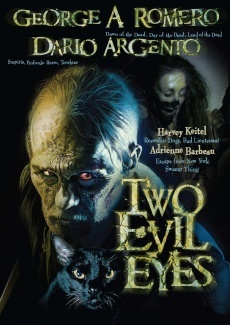 TWO EVIL EYES features two Poe adaptations by George A. Romero (NIGHT OF THE LIVING DEAD) and Dario Argento (SUSPIRIA). 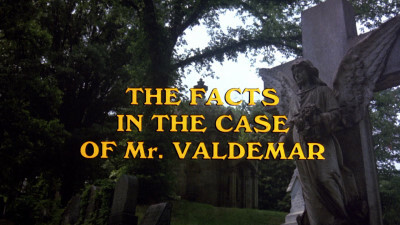 Romero's THE FACTS IN THE CASE OF M. VALDEMAR follows Jessica (Adrienne Barbeau, THE FOG) scheming to get her dying husband Valdemar's (Bingo O'Malley) money with the help of physician Robert (Ramy Zada) who has been using hypnotism to ease his pain (and consent to changes in his will). When Valemar dies suddenly under hypnosis, the lovers hide the death (and the body) while waiting for changes they've made to his will to be processed but discover that his conscience has remained in his dead body. Robert is fascinated by this discovery and probes Valdemar about death despite continued dire warnings from the other side. 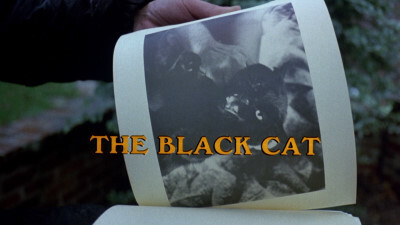 Argento's THE BLACK CAT follows photographer Rod Usher (Harvey Keitel) whose Weegee-like crime photographs persecuted by his wife's black cat. He kills the animal (and uses photographic evidence of the crime in one of his books) to his wife Annabelle's (Madeleine Potter) horror but comes across a lookalike feline (in a bar tended by an effective Sally Kirkland). 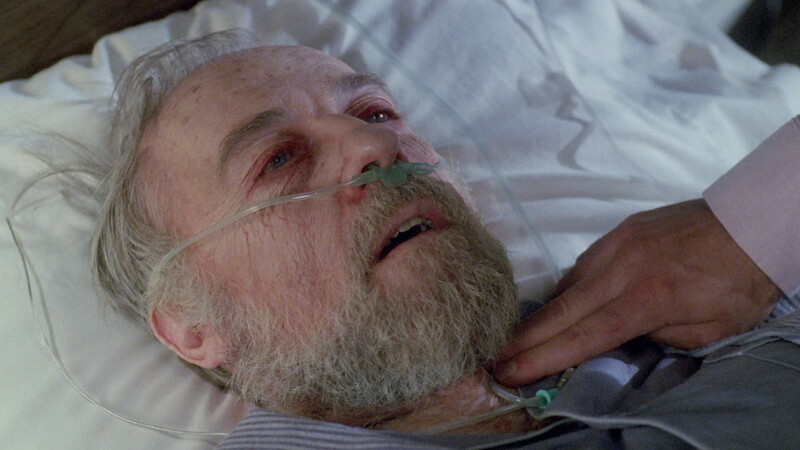 He brings the animal home for Annabelle but his dreams, paranoia, and a symbolic white mark on the cat's throat lead him to believe that he is marked for death but his attempt to kill the cat results in Annabelle's death. 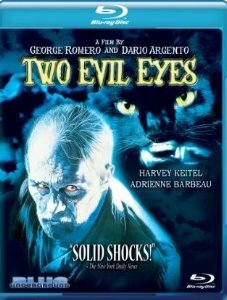 As in the Poe tale, he walls up her corpse but the cat's tell-tale yowling leads to its discover but then Argento has other twists in store. 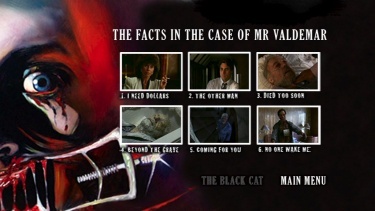 It is generally agreed that THE FACTS IN THE CASE OF M. VALDEMAR is a rather tired entry (that the film ran out of money and had to finish post production in Rome may have prevented Romero from polishing his entry but the plot was old hat to begin with) and that Dario Argento's THE BLACK CAT is the superior half of the film but it is not entirely successful. 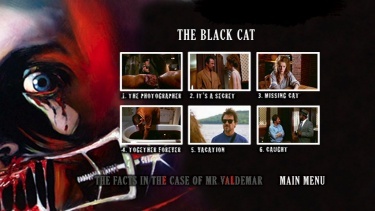 Harvey Keitel's commanding performance (as well as Sally Kirkland's supporting turn), Giuseppe Maccari's bravura camera moves (including gliding cat POV shots and other work by Italy's top steadicam operator Nicola Pecorini), Pino Donaggio's score (which departs from the Bernard Hermannesque strings of the Romero tale into bizarre electronics and voices - as well as the appropriation of choral piece "Adest Sponsus" - and some set-pieces grisly and otherwise (including a medieval sabbath dream) do not entirely make up for weak supporting performances, nonsensical Poe references (like naming PSYCHO actor Martin Balsam's nosy neighbor Mr. Pym and Savini's cameo as the mad protagonist of Poe's story "Berenice") as well as uneven special effects (the black cat's animatronics are convincing but most of the gore effects are too polished and lack the grittiness of Savini's earlier groundbreaking work). 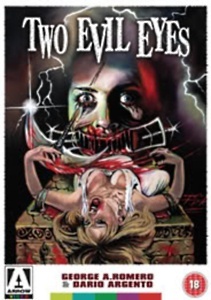 Despite these deficiencies, TWO EVIL EYES is worthy viewing for the Argento piece (one would have hoped that Romero would bring something more to the table than an entry that would not have looked out of place as an entry for TALES FROM THE DARKSIDE for which directed some fine episodes). This is a decent enough hi-def image. 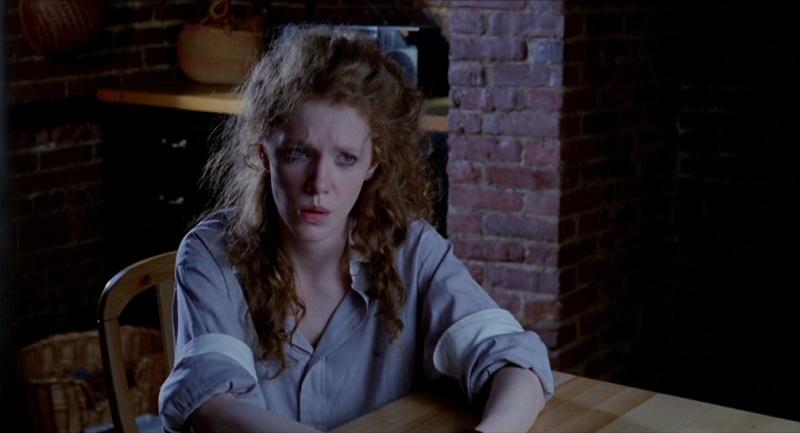 I'm happy with what I have seen from Blue Underground so far in terms of image quality on their Blu-rays (The Bird With the Crystal Plumage, The Final Countdown and Dead and Buried). Two Evil Eyes shows a nice proportion of even grain to detail with background blacks still exhibiting some odd noise artifacts. 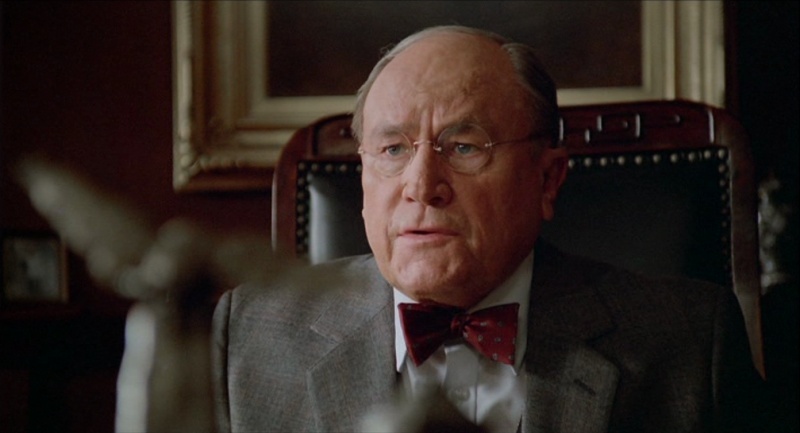 The films don't differ greatly in visuals quality. Colors, contrast and depth exceed expectations. 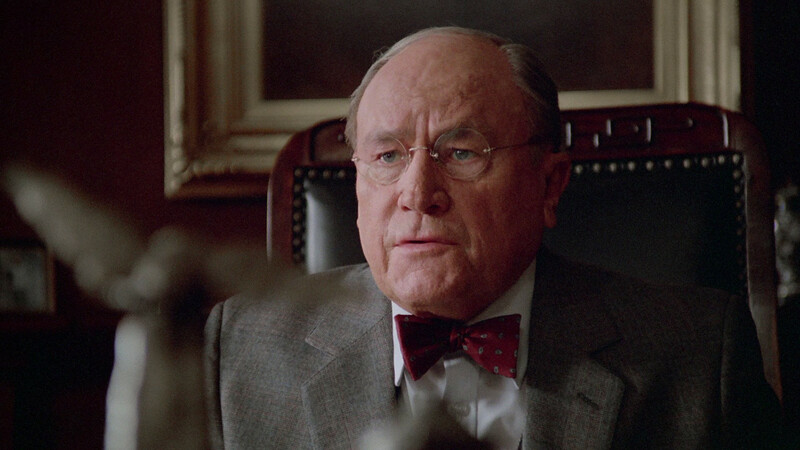 The image transfer is not glossy and produces a reasonable film-like appearance. This is dual-layered filling almost the entire 50 Gig capacity of the hi-def disc and the bitrate is stratospheric. Both films are very clean with only a speckle or two here and there. By modern standards this is a bit flat but seems very close to an accurate original representation. Thumbs up. 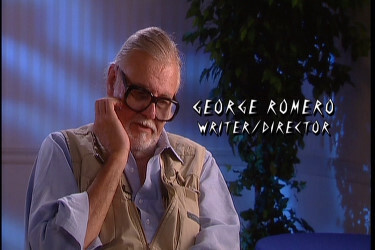 Arrow's previous issue of the film was recalled when the transfer turned out to be an NTSC-PAL conversion (16:9 with 2.0 English audio). 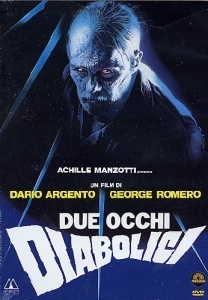 Arrow's April reissue is an anamorphic PAL transfer with 5.1 and 2.0 English tracks and a 2.0 Italian track with optional English subtitles. Other than some speckling and lesser detail during the credits for each episode (suggesting they come from a different source), the new Arrow transfer compares well to the Italian DVD which resembled the R1 BluRay and DVD suggesting they might all have been sourced from the same HD master. 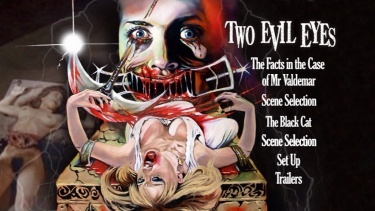 Extras are limited to the film's trailer and the Dario Argento Trailer Reel which has appeared on other Arrow Argento discs. Callum Waddell's liner notes are divided in between an essay on the film and an essay on Adrienne Barbeau's work with Romero, Wes Craven, and John Carpenter. 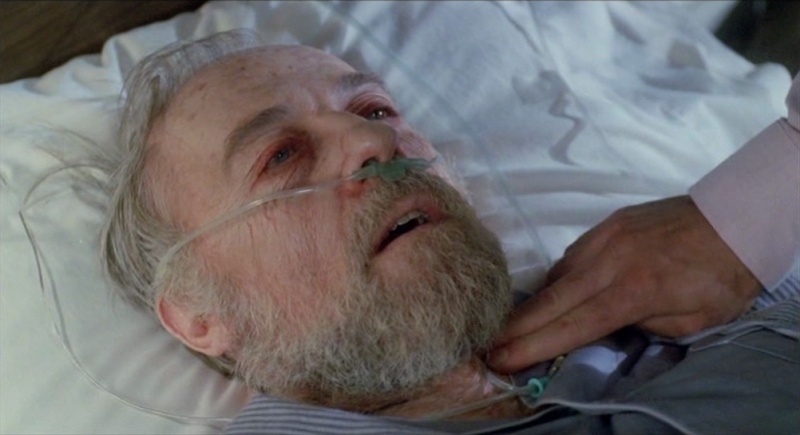 Arrow's previous issue of the film was recalled when the transfer turned out to be an NTSC-PAL conversion (16:9 with 2.0 English audio). Arrow's April reissue is an anamorphic PAL transfer with 5.1 and 2.0 English tracks and a 2.0 Italian track with optional English subtitles. Other than some speckling and lesser detail during the credits for each episode (suggesting they come from a different source), the new Arrow transfer compares well to the Italian DVD which resembled the R1 BluRay and DVD suggesting they might all have been sourced from the same HD master. 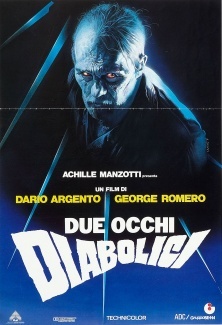 The Italian DVD of TWO EVIL EYES offers a single-layer, progressive, and anamorphic transfer whose color timing is similar to the Blue Underground transfers (the BU BluRay of course still has the edge in detail). 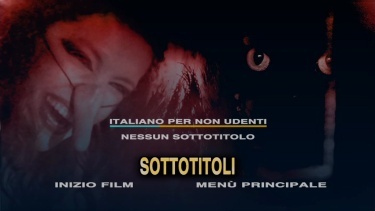 The Medusa DVD only features the Italian Dolby Stereo track and Italian subtitles. There are no extras. Perhaps due to the nature of the fear-inducing presentations - but something about the horror genre brings out the Blu-ray audiophiles - and Blue Underground seem content to satisfy with three audio options - two of which are in HD. The DTS-HD 7.1 (lossless) track seems to exhibit the most range and depth with a whopping 4662 kbps. Both films have their moments with surprising audible effects jumping out of the Surrounds with enough 'ummfff' to rattle the nerves and induce the fetal position. The TrueHD, also in 7.1, seems notably more hollow but still has some deft separation. The disc offers subtitles in English, French or Spanish and is probably region-free like the other Blue Underground Blu-rays but we will post positively later when we have validation from another source. 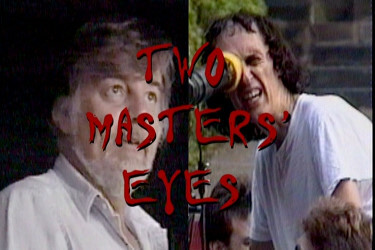 "Two Masters' Eyes" is 30-minutes of interviews with Directors Dario Argento and George Romero, Special Make-up Effects Supervisor Tom Savini, Executive Producer Claudio Argento and Asia Argento. 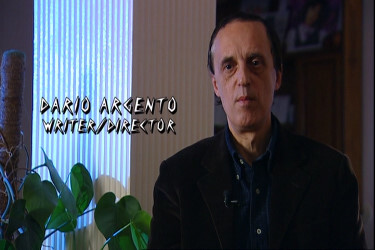 Argento's segment is in Italian with English subtitles and it is always a pleasure to hear him and Romero as both always seem confident in knowing their projects. Savini is always bright-eyes and enthusiastic. 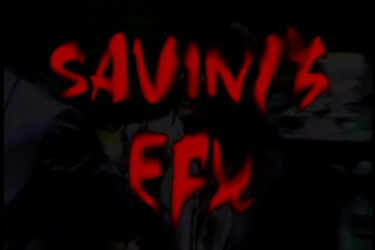 "Savini's EFX" - A Behind-the-Scenes look at the film's Special Make-up Effects runs about 12-minutes with fairly weak SD quality as is "At Home With Tom Savini" - is a personal tour of Tom Savini's home running slightly longer. There is a brief interview with Adrienne Barbeau as she talks about George Romero for less than 5 minutes and a theatrical trailer. 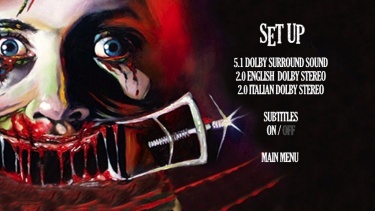 Extras are limited on the UK disc to the film's trailer and the Dario Argento Trailer Reel which has appeared on other Arrow Argento discs. 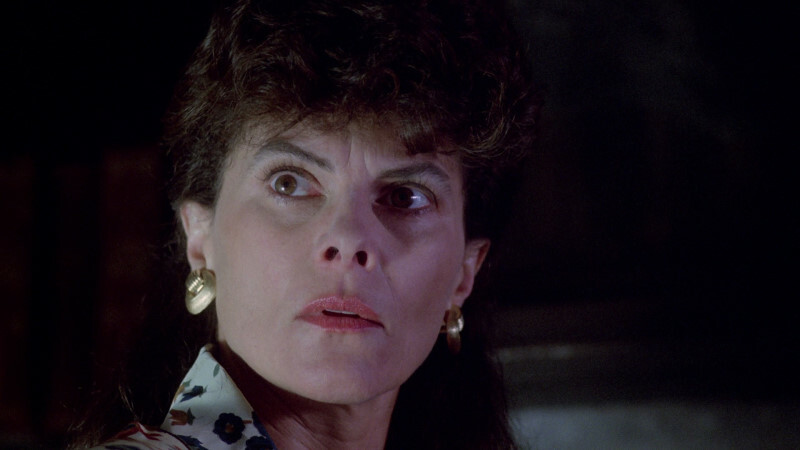 Callum Waddell's liner notes are divided in between an essay on the film and an essay on Adrienne Barbeau's work with Romero, Wes Craven, and John Carpenter. The Medusa DVD has no digital extras. These retain a certain amount of schlocky appeal and nostalgia - even being less than 20 years old. 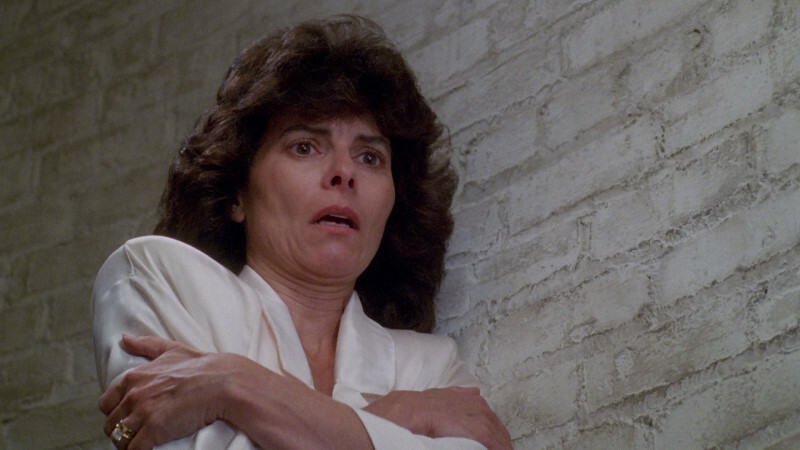 You can't get anyone more suitable than Adrienne Barbeau with her grassroots sexuality and wide-eyed shock. 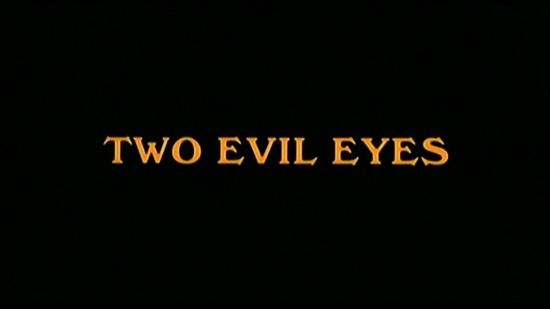 As horror these two films holds up pretty well and the Blu-ray transfer supports as good a presentation as you are ever likely to see for Two Evil Eyes. This isn't vintage stuff but still has a following that should be thrilled with the package! Addendum: Well different extras but the Blu-ray bests the DVD on that front as well as the Blue Underground release certainly having the best A/V transfer - and it about $4.50 more at current conversions. Easily, worth it in my opinion for adopters of the new format.